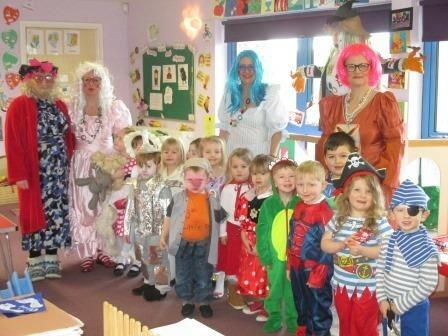 Staff…………………..well, Little Red Riding Hood’s Granny, Cinderella’s ugly Stepsisters and Stepmother celebrated World Book Day with the children from Taynuilt Nursery on Friday. Everyone dressed up as a charachter from their favourite story book or Nursery Rhyme. We read a avariety of traditional fairytales which the children choose and listened to with delight. Great fun and giggles were had by all!